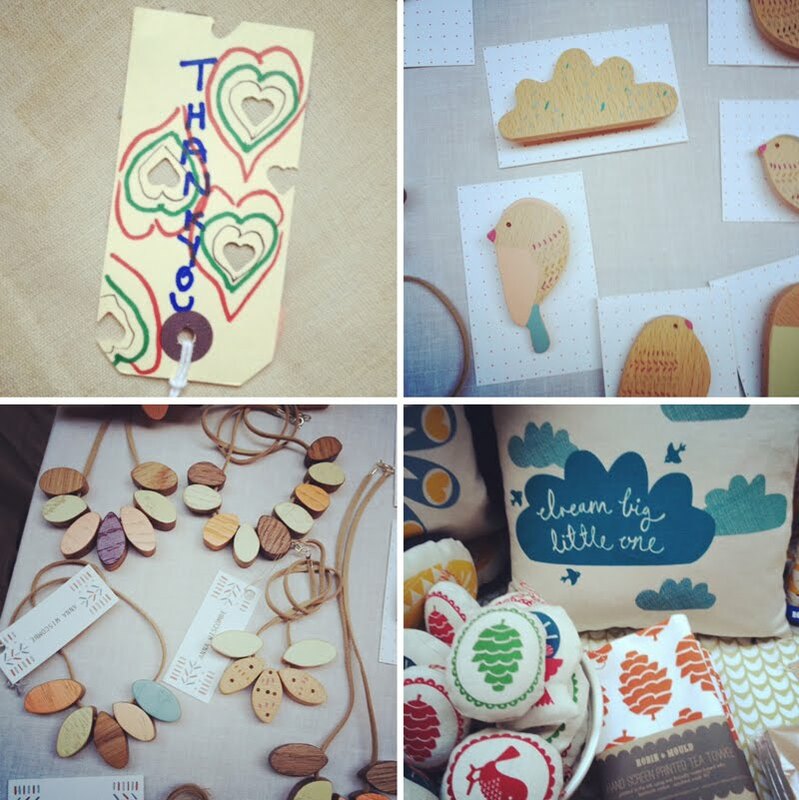 I also had a great time on Sunday at Got Craft in Tooting, run by Lotus Events. I heard the goody bags were amazing! 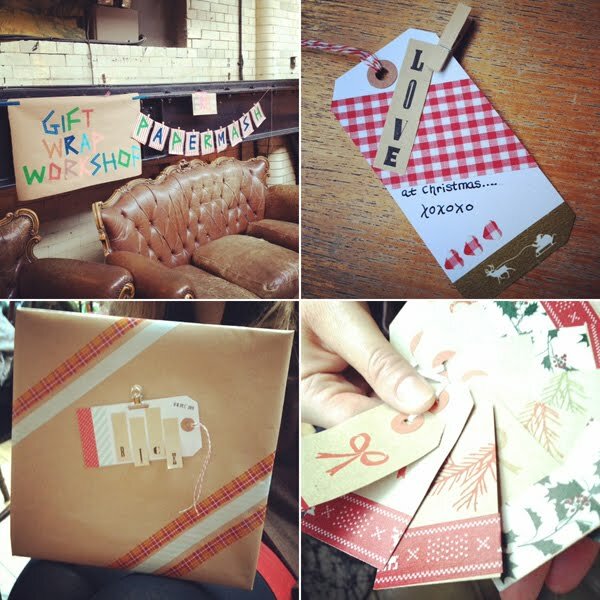 A few parcels wrapped by visitors to my stall; the love tag used alphabet index tags, gingham tape, red and white baker's twine, Santa tape, and the heart hole punch. The bottom two used tartan masking tape, striped masking tape, spotted tape, Christmas knit tape, holly tape, mistletoe stamps and pine cone stamps! I had a lot of kids participate in my workshop, too, as the washi tape is easy for little fingers to tear without scissors. My friend took a little video while I wasn't really looking, but I've put it up anyway so you can get an idea of the fair. It's in a great venue, which is a converted tram shed. I must do something with my hair, but never mind. You also get a glimpse of the Crafty Pint bow-tie making workshop, which was very popular. 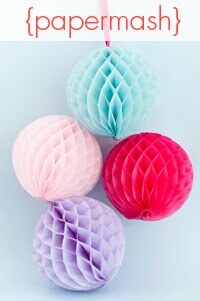 They run monthly craft workshops - their December one looks fun! I'm sure you can tell I spent hours working on my signs. Thanks to Andrea and Rob for organising, and good luck with your Vancouver fair this weekend! Thanks for your wonderful idea : I came with friends and family and enjoy the venue a lot. Everyone found something special to bring back home. Could not speak to you though, I really enjoy your blog ! Looks really fun! Great wrapping ideas. I really adore that cushion! Think I might have to order that for one of my little ones.